Nanoparticle technology has the potential to treat disease without side effects through better drug delivery. One of the main obstacles researchers face is being able to see where drug-loaded nanoparticles go once they’re inside organs and tissues. Warren Chan and his colleagues in Canada and Germany injected an acrylamide hydrogel into organs and tissues removed from mice, to make them clear. 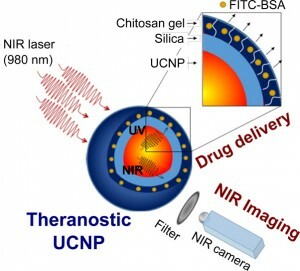 This allows for much more precise imaging, which could help researcher develop a better understanding of how nanoparticles interact with tumors and organs. Watch this video based on research appearing in ACS Nano to learn more about their work.